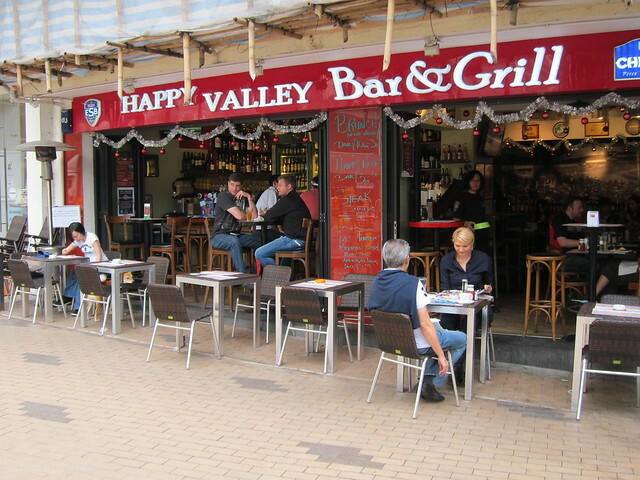 Secondly, I do think that Happy Valley Bar & Grill serves some of the best pub grubs on HK Island. 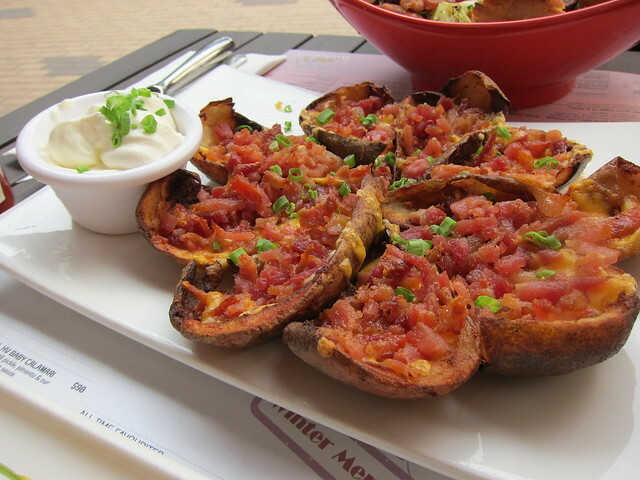 On all occasions, we ordered the potato skins. Oh my. If sinful happiness can be summed up in a plate, this would be it. Crispy potato skins. Deep fried bacon. Generous sour cream. What is there not to like? It’s the perfect grub to go with yet another sinful pint of your choice. 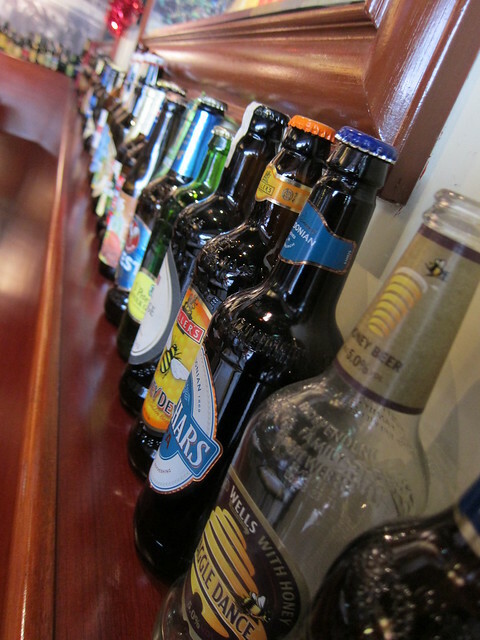 Call me traditional but I would recommend the Leffe Blonde. It was brunch time at the pub – a daily occurrence – and I had the relatively healthy Grilled Chicken BLT. 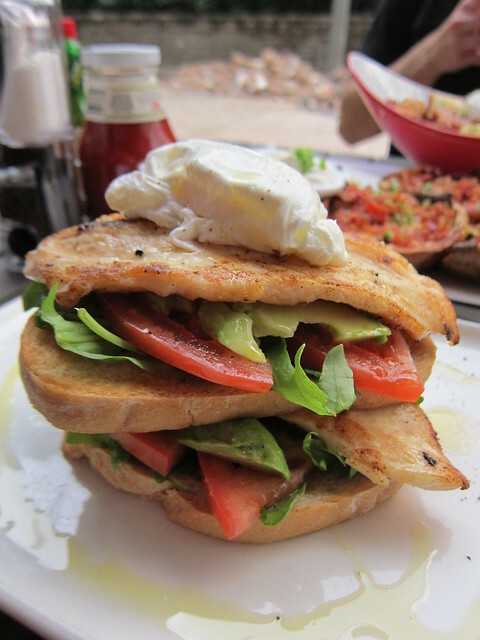 That’s stacked toasted bun with grilled chicken and slices of avocado, served with rocket leaves and poached egg. Nothing to shout about buy hey it scratched the spot. My friend ordered the All Day Breakfast Salad. 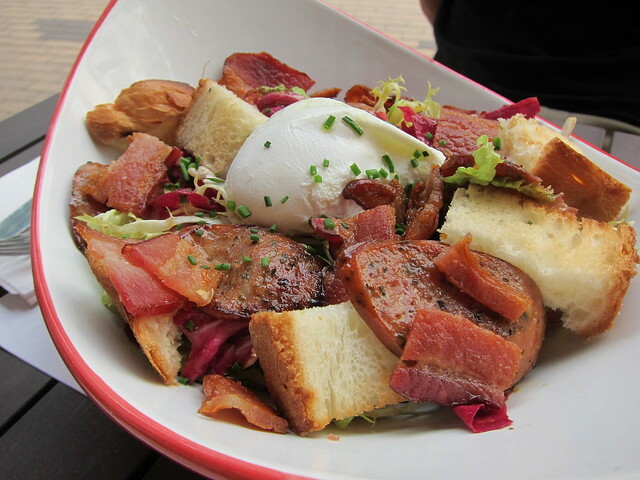 Don’t let the name fool you – the salad is far from being friendly to the diet conscious. Not with the generous helping of crispy bacon and sliced sausages. For those watching their calories, look the other way. Verdict? Perfect for those looking for a chilled spot for some long, meandering brunch with uncomplicated surroundings.